PARFAIT: French, literally, something perfect, from parfait perfect, from Latin perfectus. We think of parfaits as that multi layered dessert of ice cream, fruit, and syrup topped with whipped cream, nuts and a maraschino cherry à la DQ. There’s another, more sophisticated French parfait which is a luscious, creamy frozen custard dessert. 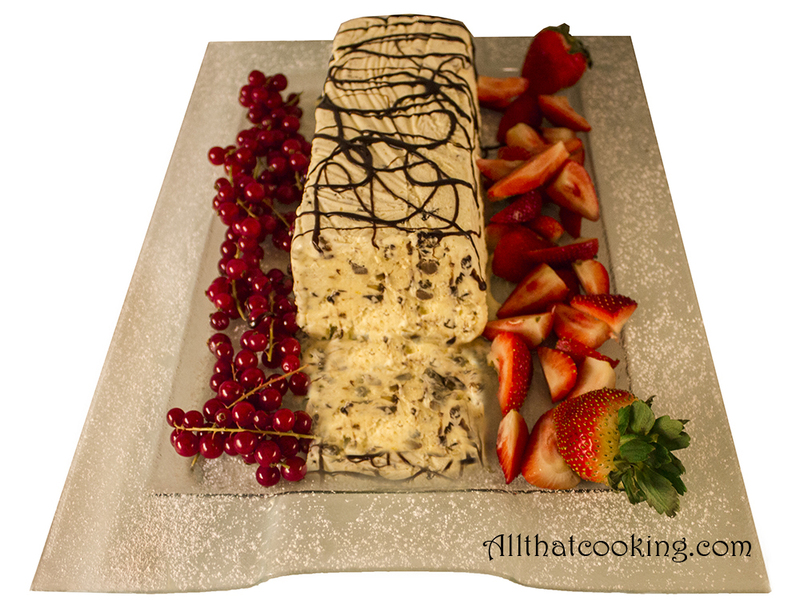 Oli made this Sherry parfait for his family on New Years Eve in Reykjavik and the dessert was a huge hit. I didn’t celebrate in Reykjavik, but trust me, my friends and I have experienced this piece of heaven on earth and it IS the “perfect” dessert. Allow enough time to freeze, at least 10-12 hours before serving. 1. In a small bowl soak macaroons in Sherry. 2. 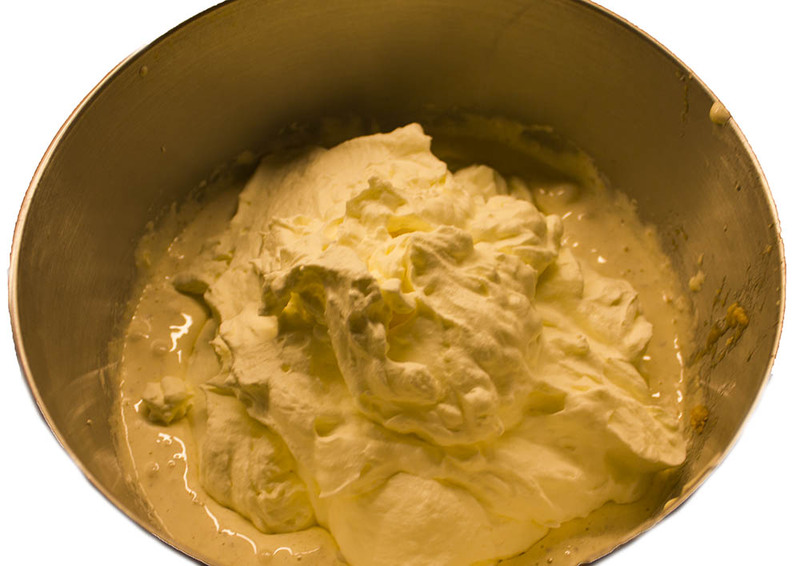 In large bowl of stand mixer whip cream until thick but still runny. Be careful not to whip too hard/long as you might end up with butter! 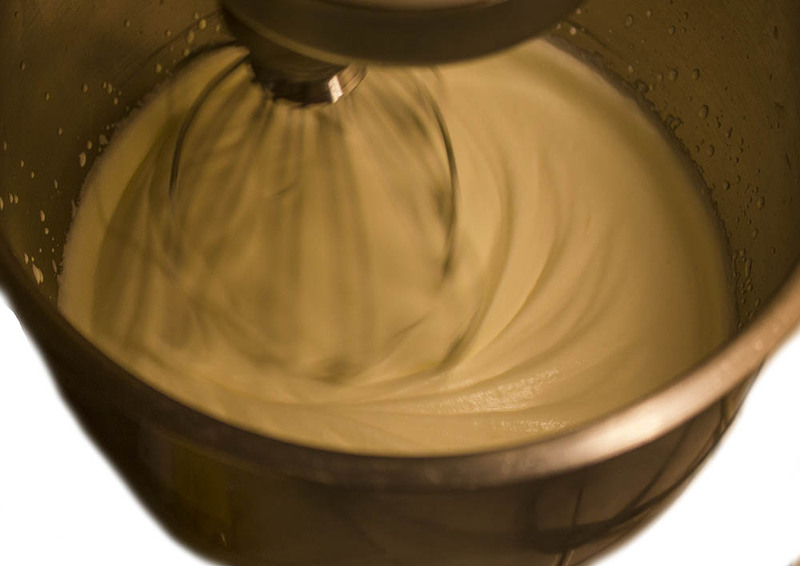 Keep in mind that you will have to stir the cream again when you fold it into egg mixture. Put bowl with whipped cream in the fridge. 3. In another large bowl whip egg yolks, whole egg and sugar until very thick and light in color. 4. Gently stir in macaroons, dates, chocolate and raisins. 5. 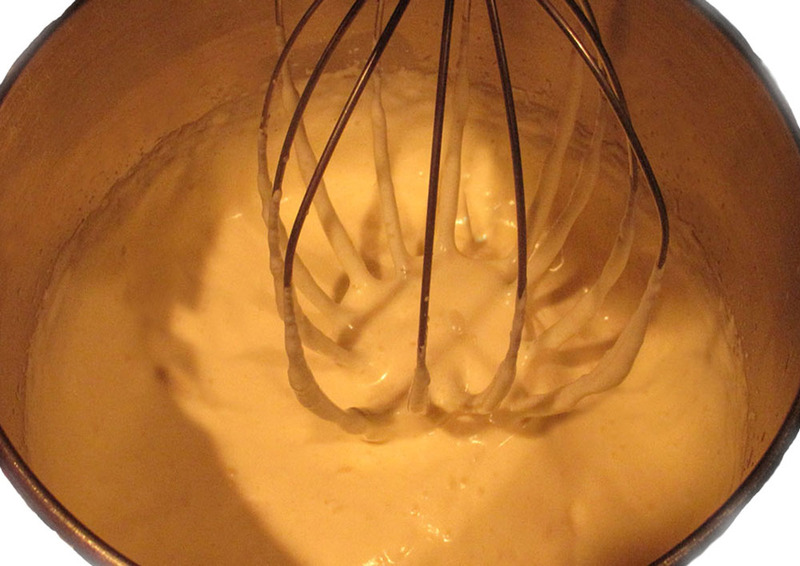 When evenly distributed use a rubber spatula to carefully fold in cream. The parfait is ready to freeze. 6. Spoon the mixture into a bowl, loaf pan, or decorative mold lined with plastic wrap. (The lining will make unmolding a snap.) Cover with plastic wrap and place in freezer. Freeze for at least 10 – 12 hours. 7. To unmold simple invert and gently remove plastic wrap. 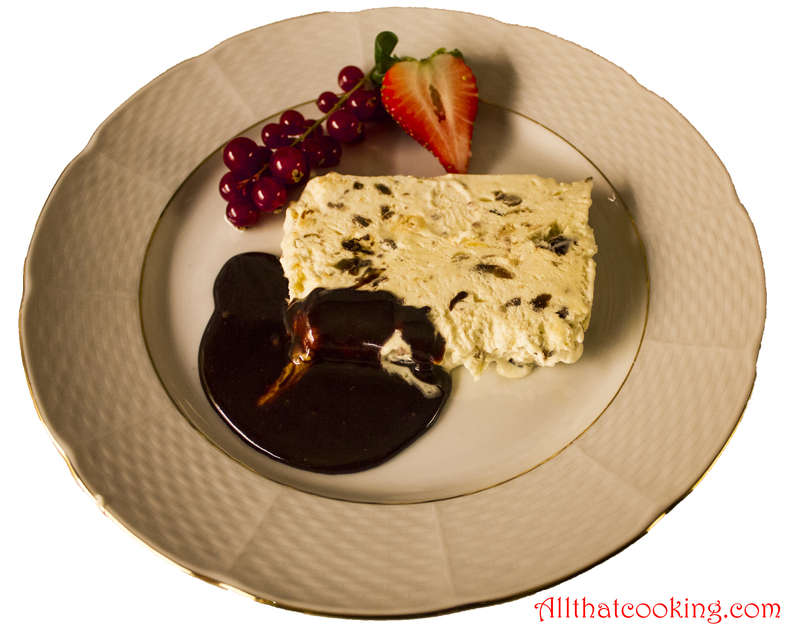 Serve with fresh fruits, a drizzle of chocolate sauce and more warm chocolate sauce on the side. Gallery | This entry was posted in Desserts. Bookmark the permalink. bought some icecreame in a shop nearby. was the famous Sherry Parfait, the best i have tasted and a dessert to die for. Hi there Oli, the taste is delicious, very very good. I have some questions though. In the recipe u use pint. We in Holland don’t know that measure. we talk about liters and ml. You raise a good point about converting to metric. We will add a new page with conversion charts for our metric friends. I’m sure it will make cooking life a lot easier for you. So glad you enjoyed the parfait. It really is a luxurious indulgence, isn’t it?
. . . and easy to prepare.